Those are mighty big words, especially when you realize the hundreds of streams and significant rivers throughout North Carolina. But don’t take our word for it—the N.C. House of Representatives designated Jackson County as the state’s premier fly fishing destination in 2016. Jackson County is also a diverse fishery. For those who prefer to wade, public access points offer plenty of places to walk in and cast to healthy trout lying in pools and riffles. If you like little fish that live in mountain creeks, hundreds of miles of small water lie along secluded trails. For those who own a drift boat, the Tuckasegee (or the "Tuck") is one of the most productive trout rivers in North Carolina. The Nantahala River, which many know for whitewater, also holds impressively large and aggressive fish above and below the whitewater section. 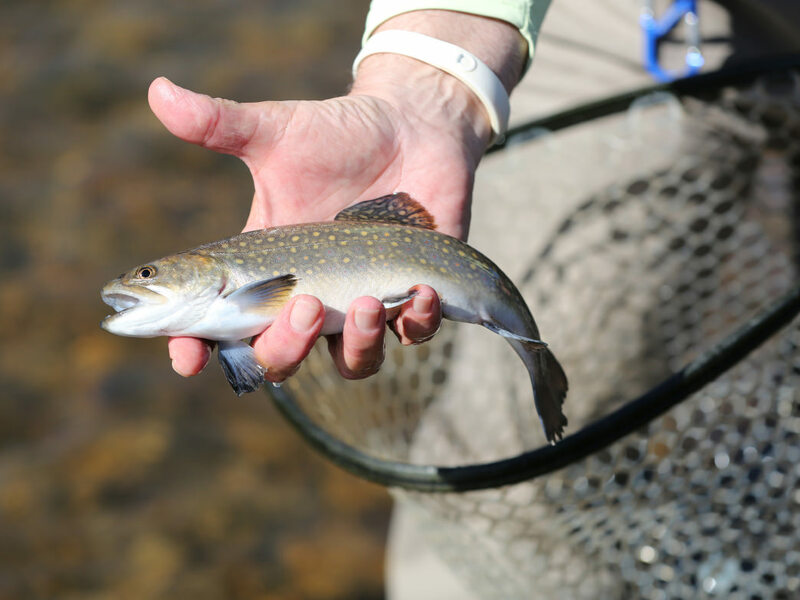 If you’re searching just for trophy trout, consider fishing the private water on the Eastern Cherokee Reservation. This area is privately owned and requires a fee, but it’s certainly an option if you’re looking for that kind of fishing. 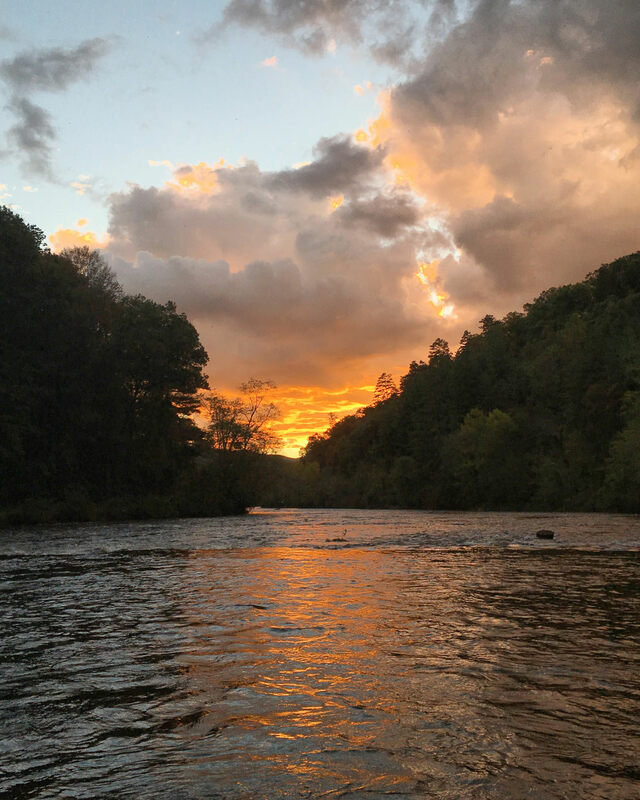 With so many options for fishing in the area, Jackson County partnered with local conservationists to produce the Western North Carolina Fly Fishing Trail. This map gives you a quick and helpful guide to decide on which area to fish, with a quick snapshot of the fishing: hatchery vs. wild trout, lots of small fish vs. a few big ones, and a few details about the terrain. While many people think it takes the fun out of it to list spots in this way, the trail really only gives you a starting point. From the public access points, there are hundreds of places to fish at each stop of the trail. As long as you respect the space of anglers that got there first and travel until you’re alone, you should plenty of great fishing all to yourself. The Fly Fishing Trail is fairly extensive, so we’ll cover some of the hot spots on the list. As number two on the list, the area around SR 1740 in eastern Jackson County is a launching point for numerous small streams chock-full of native brook trout and wild rainbow trout. Many of these streams are isolated by waterfalls or structures, so each stream will hold genetically unique populations of wild trout that will look very different from trout a few hundred yards away. 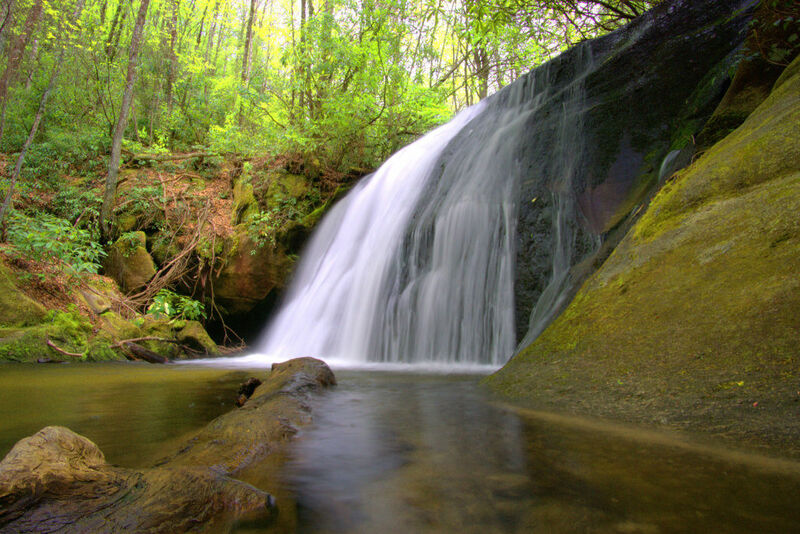 Drive up SR 1740 (about 10 minutes east of Western Carolina University) and start fishing the stream along the road or find the bigger tributaries. An ambitious angler could spend a whole weekend exploring this area alone. Panthertown Creek is more remote than many of the other spots listed on the trail. Unlike some of the other brook and wild rainbow streams in the area, you’ll have to leave your car and hike about two miles to get into the good fishing. Park at the West End Parking Lot of the Nantahala National Forest and take the trail heading south. These fish are rarely pressured, so take a short 3- or 4-weight rod and fish big, bushy dry flies. As long as you’re not fishing in colder weather, these brookies will explode on a fly that’s the size of their head. 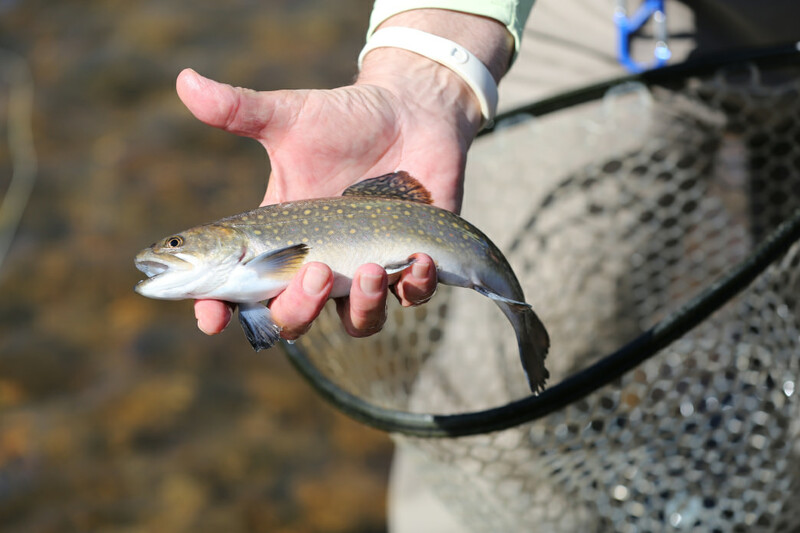 If you want to be more selective, dry fishing a small crayfish imitation to land a larger brookie. Of the 15 Fly Fishing Trail spots, five of them are on the Tuck. Forming in the southern end of Jackson County, the Tuck flows 60 miles northwest until it eventually drains into Fontana Lake. Depending on the type of fishing you’re looking to do, you can either hunt small fish in shallow water or hunt behemoth predator trout in the northern stretches. The Tuck flows through most of the significant towns in Jackson County, and it’s arguably the best river to float and fly fish for trout in North Carolina. Before fishing, it’s essential to check which section you’re in. Different stretches of the river have various regulations, ranging from tackle limits to seasonal delayed harvest sections. Much of the Tuck also flows through private property, taking a boat or hiring a guide offers opportunities to hit prime spots while respecting private land. If you don’t have a boat, don’t sweat it. You can wade fish at the public access points and still catch plenty of fish. Anyone who has enjoyed fly fishing for a few years will attest to the growing community of anglers from all different ages and background, and Jackson County serves as a microcosm for this phenomena. Though anglers have enjoyed these trout streams for the better part of a century, Jackson County and neighboring Bryson City have established themselves as a hub for Southern Appalachian fly fishers. Fly fishers can thank the friendly staff at the local fly shops for fostering this community. 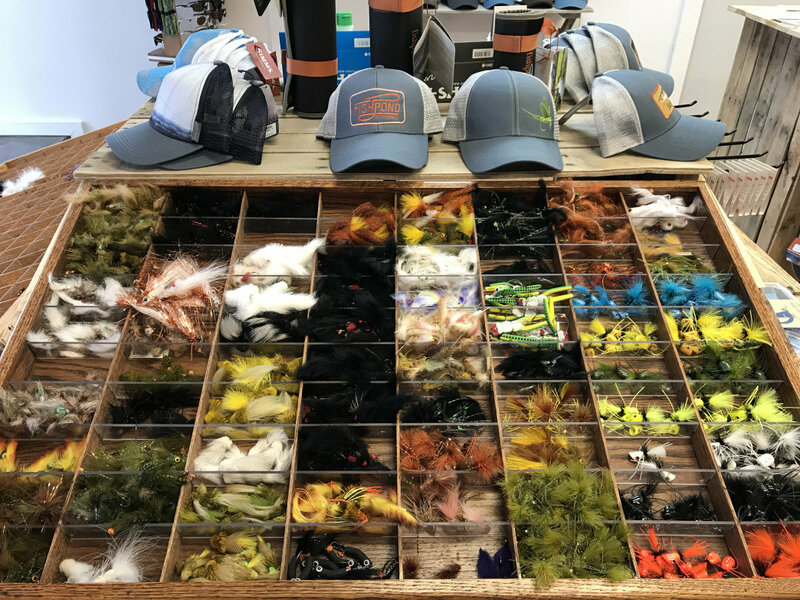 Tuckasegee Fly Shop has two stores, one in Bryson City and a new shop in Sylva, and is a great resource for a new fisherman (or woman). You can find fishing reports on their website, and they offer lessons, classes, and fishing trips. 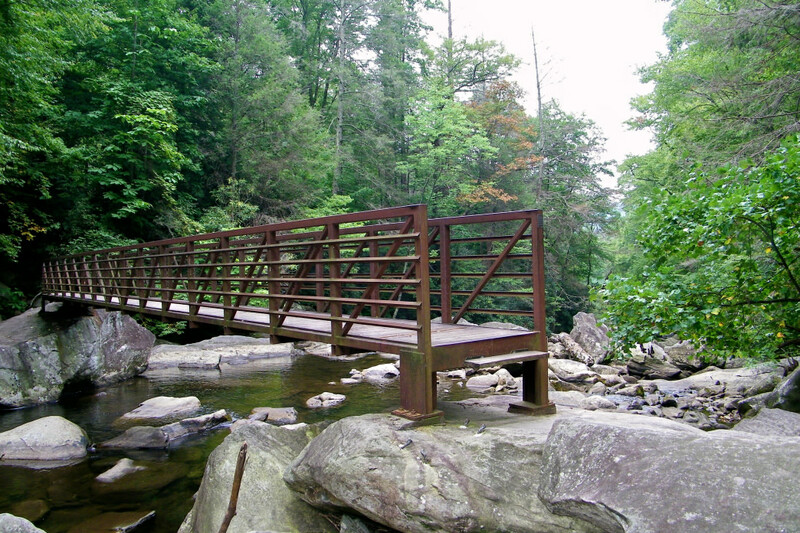 Another local staple is Blackrock Outdoor Company in Sylva. They also offer guide services, and recently opened a storefront in Western Carolina University’s Noble Hall, to the delight of many students and faculty. They sell gear of course, but also rent out everything you need for a fly fishing camping trip. Brookings Anglers in Cashiers has been in business since 1988. Their website keeps track of stream flows and fishing reports, and their guides have more than 170 years of experience combined. Brookings also has a historic 5-bedroom cabin available for rent if you’d like a true mountain escape. Jackson County is super friendly to beginners, and due in part for the massive fishing spots and quality of the conservation, anyone who can cast 20 feet and recognize a trout will surely enjoy exploring the area. If you need a place to stay during your fishing trip with your buddies (or your family!) there are plenty of lodging options throughout Jackson County. Of course, you’ve got hotels and bed and breakfasts, but there are also cabins and cottages within walking distance of trout streams. There are a handful of campgrounds and RV resorts to choose from, too.